For my first Family Recipe Friday I am sharing the recipe for "Cherry Delight". This is a treat that my Aunt Joyce made for us on Christmas and Thanksgiving when I was growing up and it makes my mouth water just thinking about it. Not only is it delicious, but it looks elegant as well. Whip Dream Whip, then add cream cheese and sugar and beat until smooth. Spread this mixture over the crumbs. Top with Cherries. The recipe sounds yummy! My mom always liked using Dream Whip in desserts. That sounds delicious! How did she stay so slim if she fixed recipes like this? Thanks for posting! 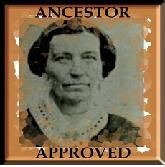 Thank you for nominating my blog http://ancestorsgottaeat.blogspot.com/ for the One Lovely Blog Award! 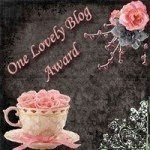 I nominated my 15 blogs last night! Have a lovely week! That sounds yummy! A friend of mine makes something similar to.